Thank you Chancellor Carranza for visiting our shipboard training simulator and classroom facilities at the New York Harbor School. We appreciate everyone’s support at the DOE and UFT for Maritime Career and Technical Education! Our programs are made possible through private partnerships from the Billion Oytser Project and maritime professionals like Captain James DeSimone and Richard DeSimone who generously supported our proposal to American Bureau of Shipping proposal for the purchase and installation of this equipment. Over the last 5 years the ship bridge simulator has inspired many NYC youth to pursue careers in the Maritime Industry. Thank you cbrown_sketchhouse for the awesome sketch and shoutout! This was during Indy 7’s last haulout at the Brooklyn Navy Yard before the start of the school year. A great deal of work goes into maintaining a USCG inspected Small Passenger Carrying Vessel. This work invaluable hands on experience for our future mariners. Captains: Luis Melendez Mike Cohen Michael Abegg Kirsten Johnsrud and Summer 2018 Waterfront Interns. It felt good to stretch our legs last week and get back on the water during the Harbor School’s Waterfront Club/Sea Scouts. 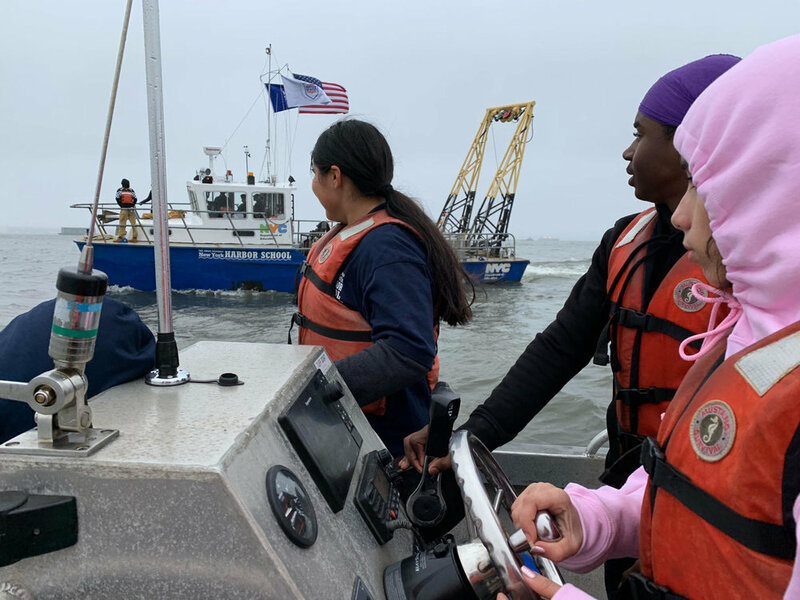 Our peer leadership from the upper class man shines during boat handling and underway evolutions from Governors Island and the Brooklyn Navy Yard.